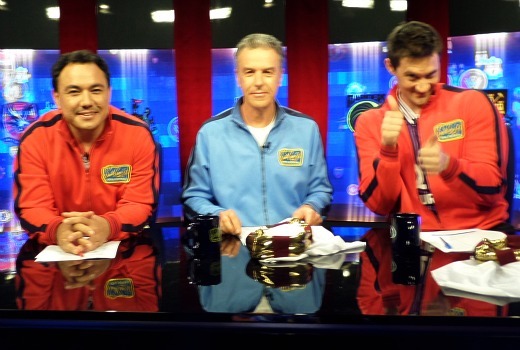 In case you missed it, last week Santo, Sam & Ed’s Total Football confirmed it would not be returning to FOX Sports after 2 seasons. The trio tweeted that they were undecided about returning anyway, but “the decision was made for us” after FOX opted not to renew. With the A-League‘s October-May season, it doesn’t leave much downtime for Working Dog’s busy year with Have You Been Paying Attention?, Utopia and Pacific Heat. But the trio may well be back come World Cup time somewhere, given they have been on SBS before too. FOX Sports did not respond to enquiries. Disappointed to see it go! One of only Fox Sports panel shows worth watching. It was a good little show that I really enjoyed. Disappointing it isn’t returning. Not a good move by Fox Sports considering some of the crap they’ve been showing lately. Worst news ever. They were the only reason I kept my Foxtel sports package during the footy off-season.